Adrian has been the big silent type since the beginning; ever menacing and the reader never quite knowing what to expect the man. His story is my favorite yet! Adrian has been a part of the series from the beginning. Always stealing the limelight, but never demanding it. With his quiet presence, he demanded order and obedience in his kitchen, but due to one wrong move, he’s a man floundering with no purpose. Something is not right at Teagan’s family bar. The vibe is off and people are not showing up for work. Not to mention her father is looking not his best. Worried about the state of things, she takes a leave of absence and is determined to get things back in order. Too bad she stinks in the kitchen and things are far worse than she ever expected. With Adrian without a kitchen and Teagan without a cook, they take on a taxing relationship. Teagan who would burn water is going to cook in the kitchen while Adrian supervises. Soon things take a sharp turn for the worse and Adrian needs to guard his heart and his position in life. He is also a man who won’t let people down. With a plan and a way, they are going to get the bar back on track. Who knows what will happen along the way to these two lonely people who always thought they were fine going on in life on their own. I loved Adrian and Teagan. 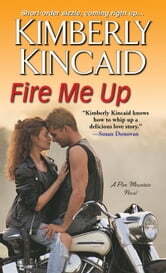 They had amazing chemistry and Ms. Kincaid made magic on the pages with these two. Both are very stubborn and they fight their attraction the whole way, but when they connect, it’s spectacular! 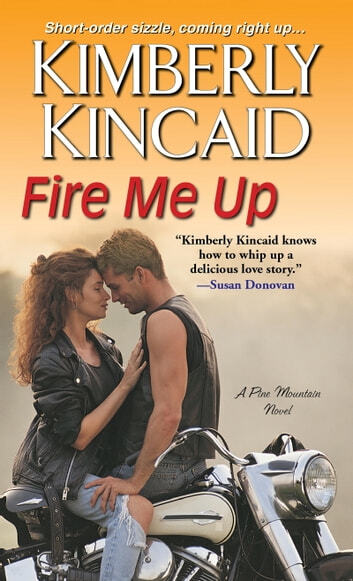 Ms. Kincaid has written such a great story and it sounds like she is going to keep on giving with the next story being about the mysterious Nick Brennan.